Today, Former Indian President A.P.J. Abdul Kalam died and he left behind a great legacy. He achieved a place in life despite coming from a humble background which many others fail to achieve. He will always remain alive in our hearts and his teachings will guide many young Indians to achieve new things in life. 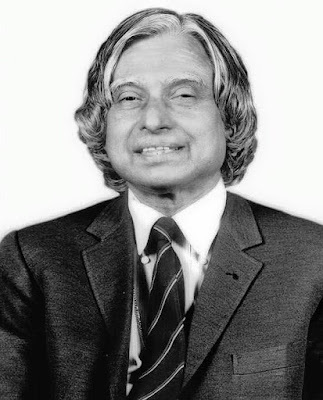 The former and most popular president of India Dr. Abdul Kalam, the full name Dr. Avul Pakir Jainullabdeen Abdul Kalam, did not need any further introduction still there are many points about his life which we do not know. 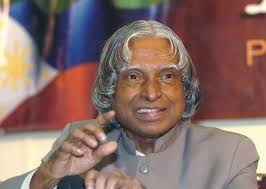 Abdul Kalam was born on 15 Oct 1931 in the temple town of Tamil Nadu, Rameshwaram. His father was a fisherman and devoted Muslim. The financial condition of his father was not very sound and mostly, Abdul Kalam and his five brothers and sister have to pass through tough time due to the financial crisis. Despite all the problems, Abdul Kalam remains determined in achieving new heights in life with the help of a number of friends, relatives, and well-wishers. His life is full of a number of messages like completing our dreams despite all difficulties, doing something for our nation and people, doing selfless service for the nation and respecting all religions. 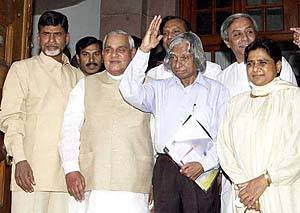 Dr. Abdul Kalam is a Muslim; however, in his conduct, he respected all religions during his life, therefore, large numbers of people across religious respect him for his great work. For all this, Dr. Kalam gives credit to a number of his friends of different religions, who have provided great help to him during his life. He still remembers his teacher Chidambara Subramaniam, who helped Dr. Kalam in entering Sheward High School, Ramanathapuram by convincing his family to send him there. Dr. Kalam did his graduation in Physics from St Joseph College, Trichinapally. Later, Dr. Kalam got admission in Madras Institute of Technology, thanks to her sister, who took a loan against her jewelry for paying an entrance fee. Dr. Abdul Kalam’s life is full of many such inspirations for all the youths of India and the world. After education, Dr. Kalam joined Defense Research and Development Organization (DRDO) as joiner research scientist in 1958. Soon he shifted to Indian Space Research Organization (ISRO) for doing research in the field of satellite and launch capabilities. Later, he became the Project Director of SLV-3 and Rohini projects and gave India Prithvi, Agni, Trishul, Akash etc. Though Dr. Kalam never took the credit for this success and shared his success with his coworkers. His common belief is that “Strength respects strength and technology honors technology”, therefore, he tried everything to make India self reliant in the field of space technology and missile defense. In 2002, he became first scientist president of India. During his tenure as president of India, he becomes so popular that people started describing him as a people’s president. He opened the door of President Place to the general public of India, which mostly remain closed to people during other president’s rule. This simple man achieved great heights in every field in which he served people of India. Due to his selfless approach to all the works done by him, he is popularly known as Best President of India, Fire man, Missile Man etc. 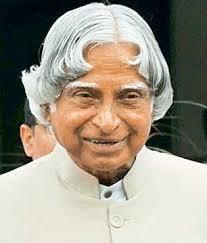 It is very difficult for people of India forget his contribution in various fields. Moreover, his greatness can be judged from the fact that he decided to teach students after becoming revealed from President Office in 2007. Today, after his death, we have lost a great leader, writer, Philosopher and former President. His work in the form his books will keep on inspiring many upcoming generations. Difficulty in your life does not come to destroy you. But to help you realize your hidden potential and power. Let difficulties know that you too are difficult. The best brain of the nation may be found on the last benches of the classroom. You can't change your future, but you can change your habits and surely your habits will change your future.